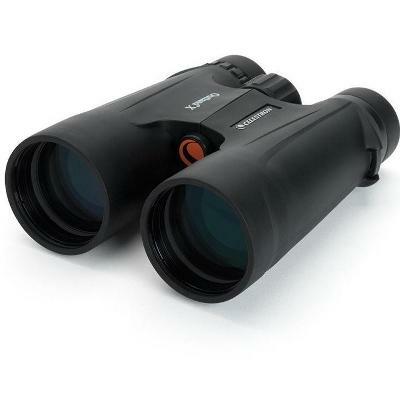 The SkyTech CLS (City Light Suppression) filter is designed to improve the visibility of various deepsky objects by blocking light pollution, while allowing light from deepsky objects through. 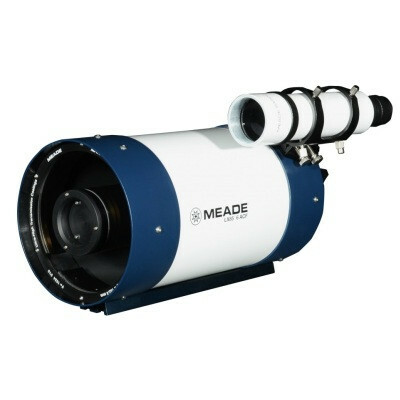 Solves the problem where many telescope adapters are not suitable for filters and protects your expensive camera chip from dust. How does it fit the camera? 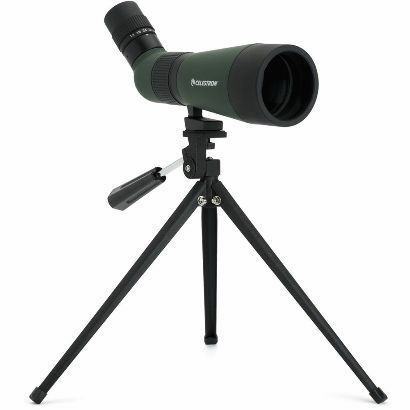 The filter is designed to simply clip directly in front of the sensor and is easily removable, still allowing lenses or adapters to work, also protecting the sensor from dust. Click the main product image to see how it fits in. 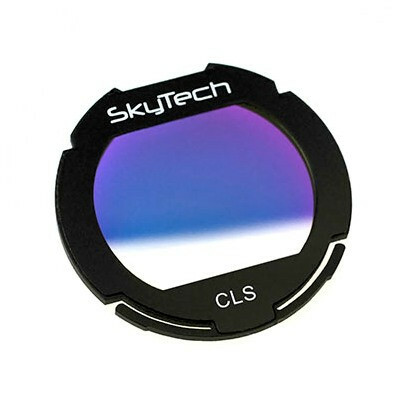 SkyTech CLS filters are suitable for unmodified Canon DSLRs. The CLS has a wider pass-band than a narrower UHC filter, so it gives a more natural colour response than a UHC filter. 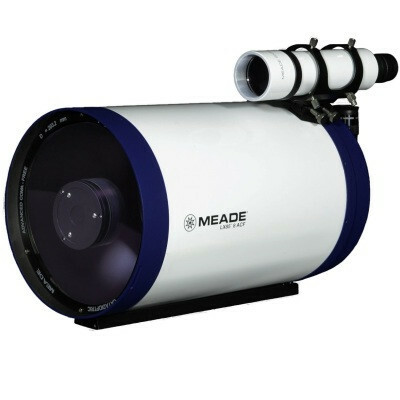 CLS is therefore best for mild to moderate light pollution filter for suburban skies. Compatible with all APS-C sized Canon EOS cameras. Not for full frame cameras. Do not use with EFS lenses because the rear elements can strike the filter. 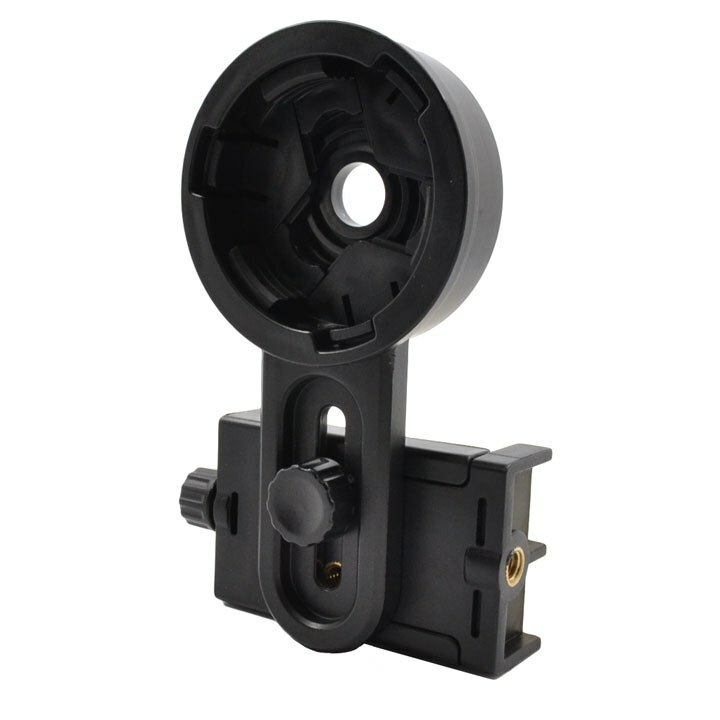 Our Reply: Hi, You can adjust the two spring slots with a small screwdrive, a small twist will tighten the grip and prevent rattle or the filter coming out when inverted - I have emailed you an image showing how to do this easily, thank you for the feedback. 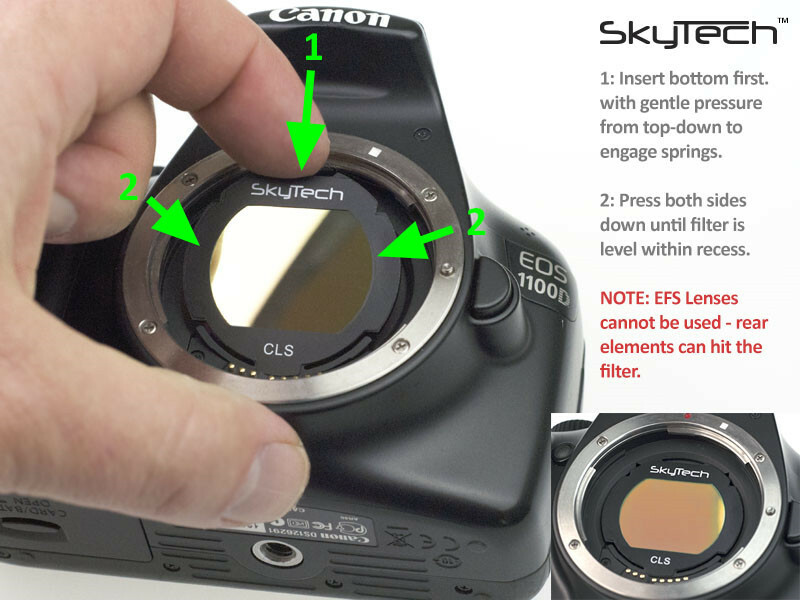 SkyTech CLS filters are suitable for unmodified Canon DSLR's and simply clips in front of the sensor. The CLS has a wider pass-band than a UHC filter, so it gives a more natural colour rendition than a UHC filter. CLS is therefore best for mild to moderate light pollution on city outskirts or suburban locations. This version is for unmodified EOS cameras.